Season 4 of Guild Wars 2 Living World has been a solid addition to the episodic narrative that drives the game’s content development in between expansions, and I am in no way exaggerating when I say this episode has been the best to date. 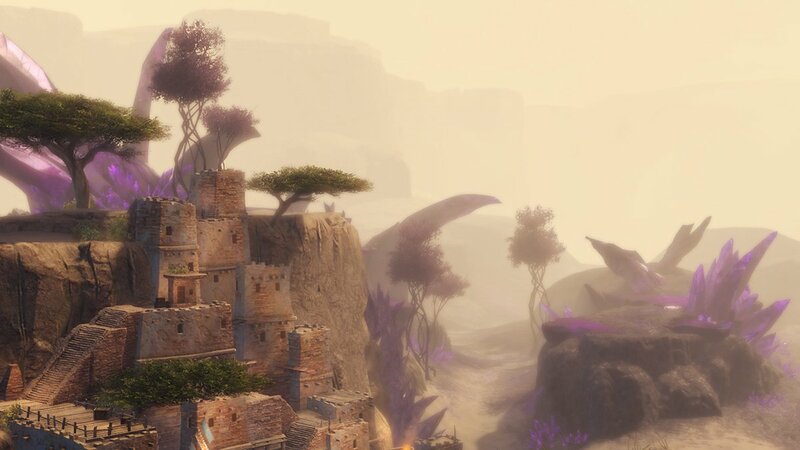 ArenaNet’s focus on delivering a more believable story with superior delivery is paying off: A Star to Guide Us is making a ripple in the tide of Living World naysayers and it has set us up for more impactful story arcs to come. The episode pulls at our heartstrings without slacking on the humour factor and the developments will have seasoned players and newbies alike gasping, laughing, and crying. In this edition of Flameseeker Chronicles, I’ll discuss the main plot points of the first three chapters of this episode and will share my highlights with you. I won’t give you my overall opinions just yet since there’s so much ground to cover. This article is best read after completion of the episode if you’re worried about spoilers. Long Live the Lich commenced with a panicked call from Taimi in which she explained that Gorrik was arrested for conspiracy to release a plague and it turned out he was basically growing a bug under his skin after he realised only humans can be infected. The commander managed to convince Councilor Mayameen that he needed to be free and helps reunite the asura with his research and brother, who was sadly traumatised: Blish was seized as though an object and was powered down, meaning he was cut off from the golem’s neural net and was basically black boxed. The commander and Lord Faren arranged to meet a Tyrian food shipment at dock 6, only to instead meet a test batch of Joko’s scarab plague via the poor crew and passengers. After several encounters, the commander managed to contain the ship-borne threat, but Joko was only getting started. Using Blish’s stolen portal tech, the commander was able to set up a camp to prevent Joko from releasing his pestilence. The Primeval Dynasty sore to send a ghost army to aid the fight against Joko, the commander rallies factions from all over to unite against the threat, and Gorrik uncovered rideable roller beetles through his work with Petey. Lord Faren almost succumbed to the plague to bring vital explosives to Rytlock on the front line, but he made it, meaning the war front could move across the bridge and into the moon fortress. A long battle ensued that highlighted the brutality of war, the ingeniously savage mentality of Joko, and how dangerous Aurene really is, and it ultimately ended in the brutal death of the lich by the fangs of the dragon and the vanquishing of his pestilence. This chapter commences with another rather panicked call from Taimi: She explains that Zaeim is attempting to hold a summit with all the Elonian factions, which was tense enough, but then Aurene crashes the party and causes yet more friction. Utumishi is present at the summit and doesn’t take kindly to Aurene’s presence after the events surrounding Joko’s demise, but the exhausted wyrmling has collapsed in the summit room within the fortress of Jahai after tirelessly defending Elona from the Branded. Braham mentions on the way to the summit that Kas and Jory are unreachable and that Taimi is worried about them. 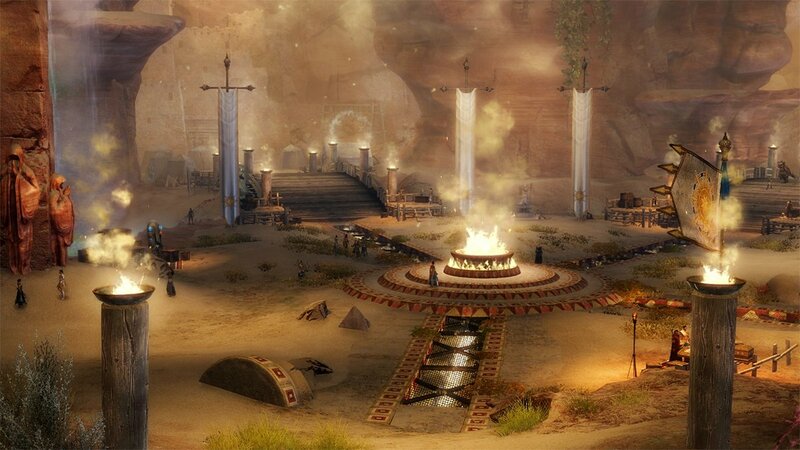 The commander is able to convince Aurene to go, and Zaeim asks for help in getting the summit back on track. We are introduced to a new faction called the Free Awakened who wish to have a second chance at coexistence, which is a fantastic addition to the mix in my mind. 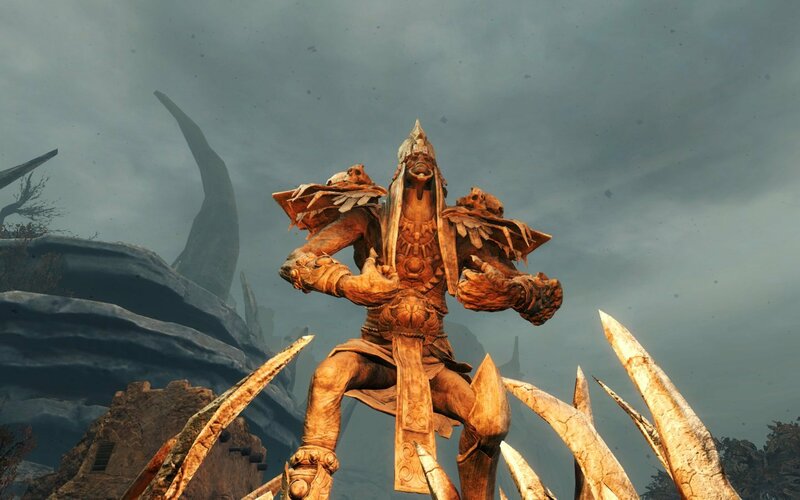 The summit aims to unite Joko loyalists, Free Awakened, Sunspears, and the Mordant Crescent, but we all know that such a union won’t come easily. Awakened Archon Iberu attempts to take power by force until Koss kills him once again and forces a vote for peace. While he debates with Utumishi, Kralkatorrik’s lieutenant mounts an attack on the summit, clearly drawn by our presence. The exhausted dragon ends up following the death-branded Shatterer through a rip in reality with the commander and company watching on powerlessly. Taimi reads anomalies from all over Jahai that must be investigated, while Almorra Soulkeeper plots to throw all she can at the Shatterer once they manage to lure the abomination to an advantageous location. In the now well-established formula of mid-chapters in the Living World, the commander is tasked to do some collecting for Taimi to further along her research. Bizarre occurrences are sprouting up across Jahai and the little asuran researcher needs samples of whatever we can find within those anomalies. The entire environment changes within each: The commander must slay some chak in a Maguuma Jungle region, an otherworldly hallucinogenic mushroom grove, an ancient Orrian battle between Charr and humans, and Nuhoch Branded to reveal the secrets of these ruptures to Taimi, Blish, and Gorrik. They soon uncover that Kralkatorrik is in the Mists, which hasn’t ever been possible before. What exactly is going on here, and what will this mean for dealing with the dragon? Braham interrupts comms to let the commander know that a group of survivors of the Branding have been found, and it transpires that Kralkatorrik’s Brand reach doesn’t extend far underground and that Aurene was sighted alive, zipping through the Mists’ tears. Luckily for the survivors and the party, Koss knows of a potential safe haven that is far enough underground to resist the dragon, an old Sunspear sanctuary. Braham, the commander, and the survivors head there to meet Koss and set up while Taimi and her researcher friends keep looking for Aurene. Koss meets the commander and Braham at the old Sunspear sanctuary to set up for an influx of civilians, but it isn’t long before Taimi calls in another Aurene sighting: This time, she has crash-landed over Gandara. The sanctuary’s Kormir beacons are unlit and the base is overrun with spiders, which Braham is rather hilariously frightened of. He does a valiant job of vanquishing the nevertheless, and we get to work making a safe base for Aurene to rest in. Webs and egg sacs must be cleared and the brood mother isn’t happy about it, but the commander ultimately talks Braham into action and she is vanquished. Koss pokes fun at the Norn throughout the cleanup effort but gives Braham props once the job is completed. Koss names the sanctuary Sun’s Refuge and Taimi leads a frail Aurene into the sanctuary, clearly worried about her friend as much as she is preoccupied with Kralkatorrik’s presence in the Mists. Upon further discussion, the commander realises that Kralk is ripping through the Mists to get Aurene: Everywhere she is, Kralkatorrik attacks. Just as Koss suggests fortifying the sanctuary, Branded swarm outside and the commander’s company must spring to action to defend poor Aurene. Who other should pour out of the tear in the Mists than Braham’s mother and her dear friend Snaff! He later tells Taimi that her reputation precedes her and she is totally awash with joy, and my heart leapt a mile high! Braham meanwhile had a wonderful heart-to-heart with Eir, who tells him he must move on as she was not part of his path or family and it was too late for them. She instead guides him gently yet firmly to his crafted family, Dragon’s Watch — serious “aww” moment. 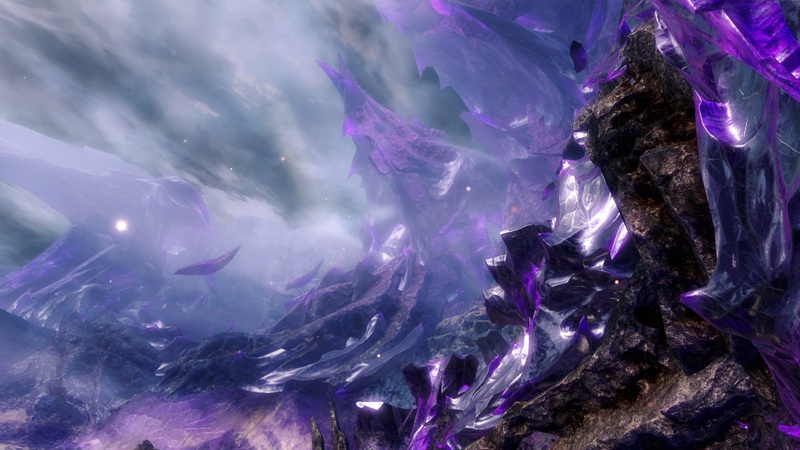 After shutting this rift, a message from Glint is given to Aurene: Kralkatorrik is consuming magical energy within the Mists and is rapidly becoming stronger and will soon irreparably tear reality asunder, so she must fulfil her destiny now and replace him as an Elder Dragon if she is to have any chance of saving Tyria. Moreover, the commander’s fate is indelibly linked to Aurene’s and she must aid her. Heated arguments abound about what Aurene should do and when: Is she strong enough, and what would happen if she waits any longer before facing Kralkatorrik? Aurene listens to the row around her and has multiple visions of the future, but she is successful in none of them. Aurene dies Traumatised, the young dragon flees, leaving more questions than answers for the shaken commander. The gathered citizens are terrified: If Aurene won’t even face the elder dragon, who will? Regardless of what steps are taken to vanquish Kralkatorrik, the most pressing concern is the dragon’s ability to attack at any given time. Blish calms the panic and suggests entering the Mists to fit a tracker on Kralk, which could then supply him with data that will allow him to predict his movements. He needs a lure, which points the commander towards relocating Balthazar’s sword — if it still exists — to draw in the magic-hungry dragon. I was taken on an emotional and visual rollercoaster in the first half of this episode: I can’t fault the story content whatsoever. I think it is rather brave to risk Aurene so soon, especially since she is so loved within the community. I’m also deeply impressed with how much nostalgia and functionality has been squeezed into a scant three chapters! Let me know your thoughts in the comments, and look out for part two in the not-so-distant future. 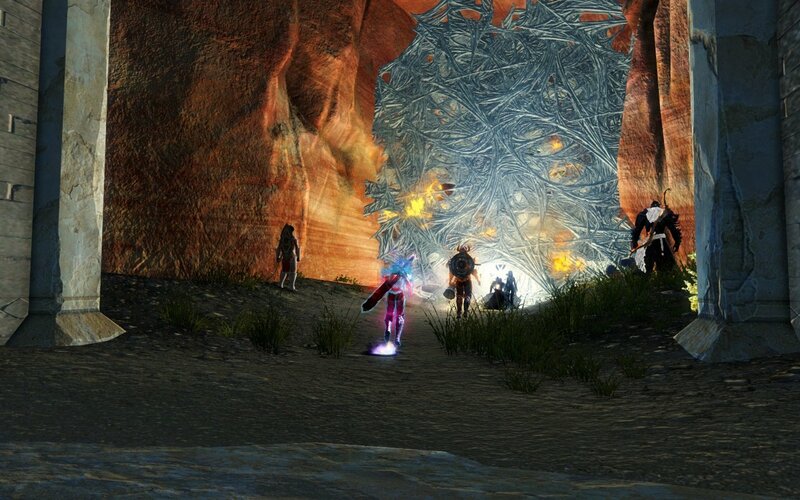 Tina Lauro has been playing Guild Wars 2 since it launched and now pens the long-running Flameseeker Chronicles column, which runs every other Wednesday and covers everything from GW2 guides and news to opinion pieces and dev diary breakdowns. If there’s a GW2 topic you’d love to see covered, drop a comment Tina’s way or mail her at tina@massivelyop.com. Last night I was in the quest for one of the best portal how to setup dual monitors as it is an upgraded feature of windows 10 and will also help you to increase your working efficiency. I agree that this was one of the best living story chapters yet: it was well written, well (voice) acted, well structured, and (finally!) well scaled in terms of overall difficulty.